With time the wood of kitchen cabinets gets scratched, faded and even discoloured. The value they hold dwindles. 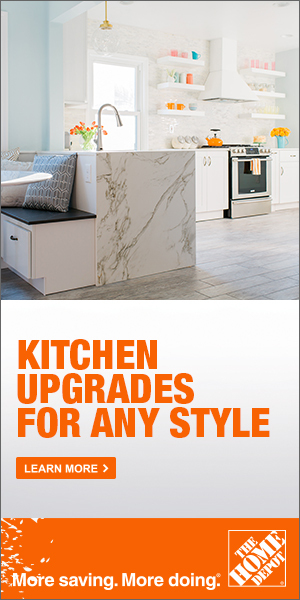 One easy way to redo them is refacing. The technique is much simpler and far cheaper than any other method of remodelling a kitchen. 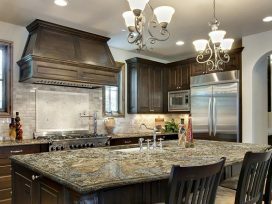 In this article, we provide you some kitchen cabinet refacing tips – the reasons why one should opt for it than installing brand new cabinets. But, before we begin, we’d like to explain the refacing. When you cover every visible inch of kitchen cabinets with either a laminate veneer or wood of 1/8 inch measurement, it is called cabinet refacing. Every part of the shelves is resurfaced – the side, bottom, top. At the finish of the project, the cabinets look as if new ones have been installed while the price attached to it is a fraction of it. Let’s now take a look at the reasons why you should choose refacing. • Let’ say that the countertops you have are granite or quartz. These cannot be removed because they tend to crack and break when pried off. Most shops will refuse to remove them, and if they do it, then they bill you for any mishaps. A good way to transform such countertops and stay miles away from exorbitant bills is refacing. The veneer or wood can be applied right over the old granite and quartz. • If the quality of the cabinets is superior, then replacing them is not a sound decision. This especially applied to cabinets made in the 1960’s. They were created with heavy material specifically for the site using expert craftsmanship. Gutting them is foolhardy because no modular cabinet can match in quality, even the highest models. To transform them, refacing is an excellent idea. One gets to keep the first class skeletal structure of the cabinet and give the outer surface an updated look. • The kitchen is badly in need of remodelling yet you can’t afford to have a home that has no usable kitchen for months. It is here that refacing comes in handy. Unlike reconstruction that may live homeowners without a sink, counter or stove for weeks, refacing keeps the kitchen functional. You need not remove any countertops or cabinets. Furthermore, a reface of cabinets can be done in a few days and at the max a week. It is the least intrusive method of giving the entire kitchen a brand new look. • It is a known fact that a few renovation projects can add a lot of value to a home when it comes to selling. The same applies to refacing. 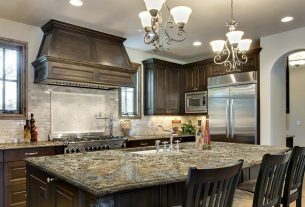 It offers the same curb appeal as a remodelled kitchen because the buyers are unable to differentiate between the two. So, if you are thinking of selling the home in a year or two, reface the cabinets. You are sure to get at least a 100% return on investment for it. These were very simple yet massively impactful reasons why every homeowner should consider a kitchen cabinet refacing project.